A lean man past middle age, Francisco Cerda still goes to work most days of the week at a limestone quarry in Las Mercedes, an area of the Paso del Istmo near the Costa Rican border. His house is rustic and similar to many in the region. Approaching it, we pass a well, an outdoor shower, and a large basin for washing clothes. Scrawny dogs lie sprawled on the ground, and chickens peck at insects in the shade of a mango tree. The house´s walls are made of rough boards with large cracks, and the smell of wood smoke drifts from the kitchen. Our eyes are drawn to dark specks darting in and out of logs hanging horizontally from the eaves of the house´s metal roof. They are bees, and they are why we are here. Francisco owns hives of jicote manso, a species of stingless bee that has been kept by people in Central America for millennia. The word jicote comes from the Nahuatl word xicotl (meaning bee or wasp, and manso means docile in Spanish. 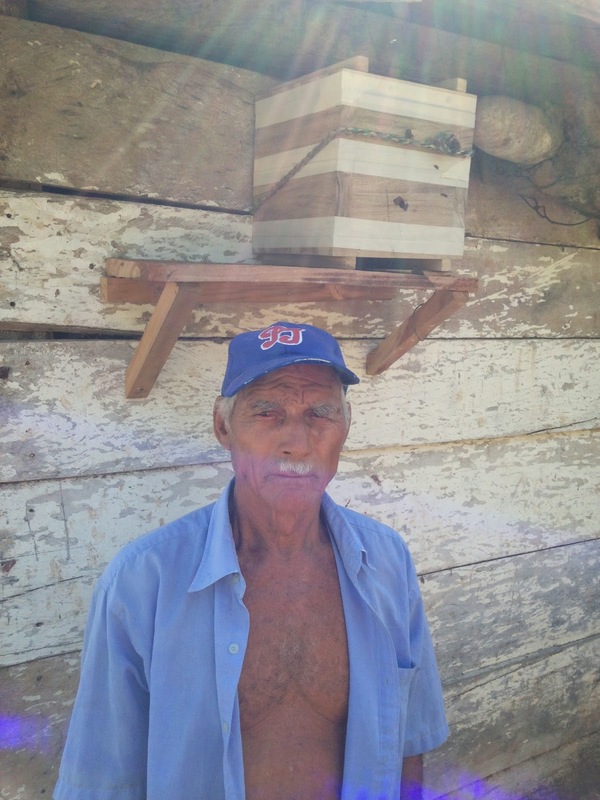 Francisco used to have over forty hives, but when violence broke out in the region during the 1970s, his family immigrated to Costa Rica, leaving the bee colonies behind. 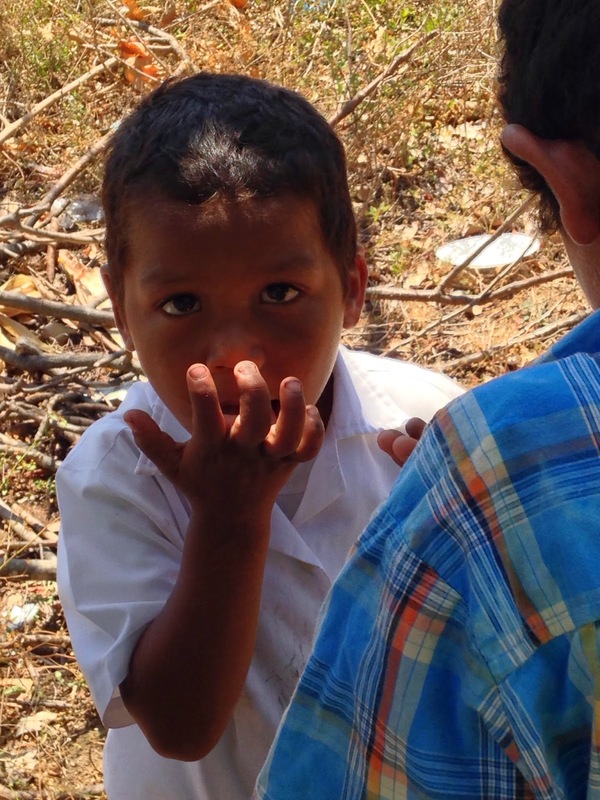 When Francisco returned home after the war, only about five hives remained. Today, he cherishes those hives, marking the age of each hive by the birth dates of his grown children. Stingless bee honey is traditionally given to pregnant women as their due dates approach, maybe as a nutritional supplement or maybe just as a sweet indulgence! My coworker Marcos and I have been visiting Francisco´s home every week since the end of January, expressing Paso Pacifico´s interest in conserving native bees, explaining the process for dividing hives, and catching bees in Ziploc baggies in order to collect pollen samples from them. 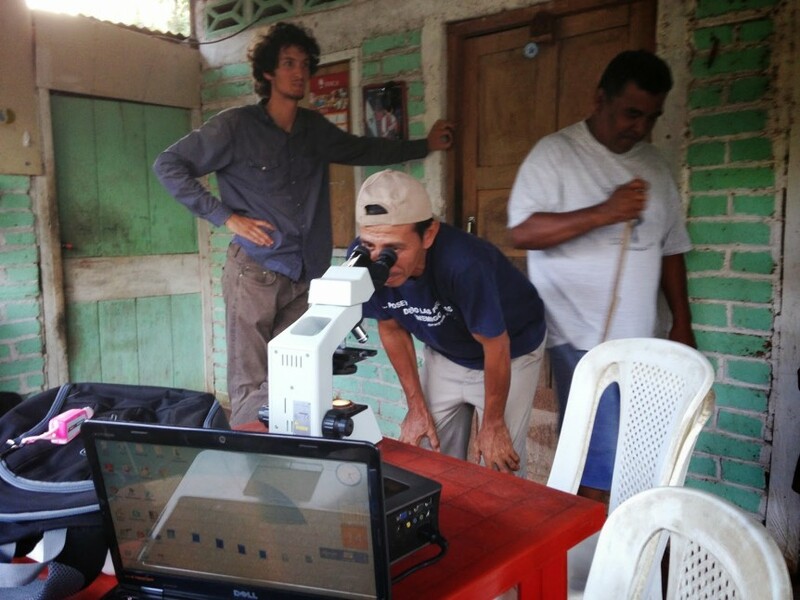 Initially, Francisco seemed skeptical about our project, but it soon became clear that the maintenance of stingless bee populations was a concern that we shared. Francisco has noted the increasing scarcity of jicote manso, attributing the population decline to the conversion of forest to teak plantations and the proliferation of both feral and domesticated Africanized honey bees. His hypotheses are quite plausible, likely compounded by pesticide use and overharvesting of honey from the forest. The plight of bees likely sounds familiar to you; with some regularity, we read in the news about colonies collapsing and fruit orchards being left without pollinators. Honey bees support many livelihoods and pollinate many crops, but with thousands of bee species in the Americas, it is shortsighted to focus exclusively on the preservation of honey bees. Reliance on a single pollinator species makes us vulnerable, and honey bees are not great pollinators for all plants. For example, they do not perform buzz pollination, a mechanism needed by crops such as tomatoes. At the very end of March, Francisco, Marcos, and I moved a colony of jicote manso from a rotting log hive to a brand new box hive. The brood combs were of modest size, but so far it seems that the bees are adapting well to their new home. Perhaps by working with them, we can build our resilience together. 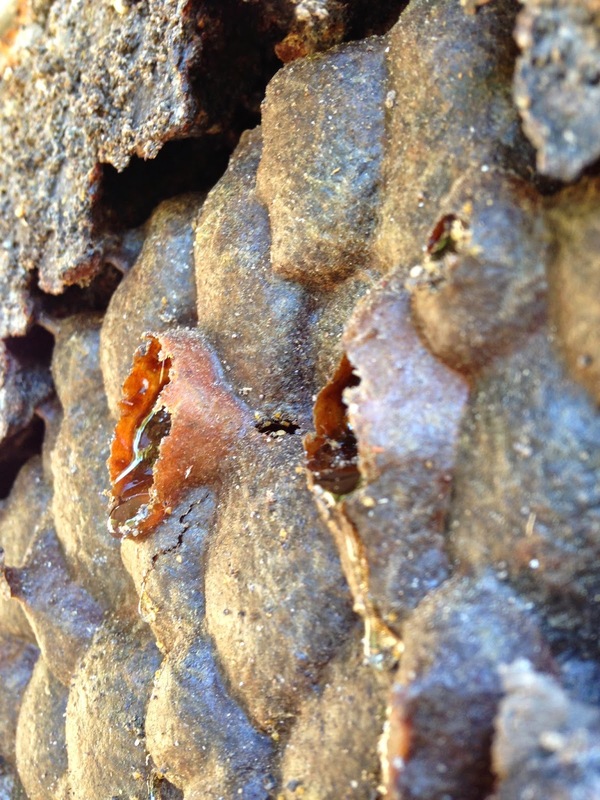 Taken from the forest more than fifty years ago, the hollow log that housed this bee colony was falling apart. The hive´s owner stands next to his brand new box hive. Meliponiculture expert Marcos Calero creates an access port on a log hive, allowing for the future extraction of brood comb. Examining a brood comb, where the queen bee lays her eggs. A stingless bee visits a lemon flower. Some of the bee-pollinated crops grown on the isthmus include mango, vegetable pear, coconut, annatto, squash, guava, cashew, noni, and bell pepper. A honey producer looks at pollen under a microscope for the first time. 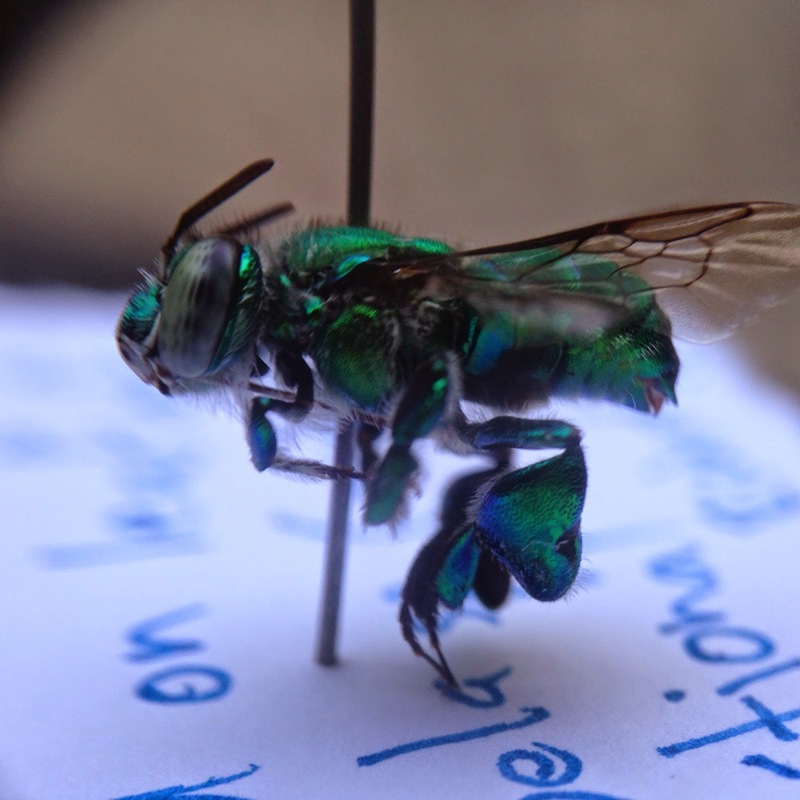 The green orchid bee is an example of the fantastic biodiversity found in the Paso del Istmo. Honey harvested with a syringe is clearer, mixed with much less pollen, and less acidic that honey harvested by perforating the honey pots and allowing the honey to drip from the log. Stingless bees store their honey in pots, unlike honey bees, which store honey in combs. 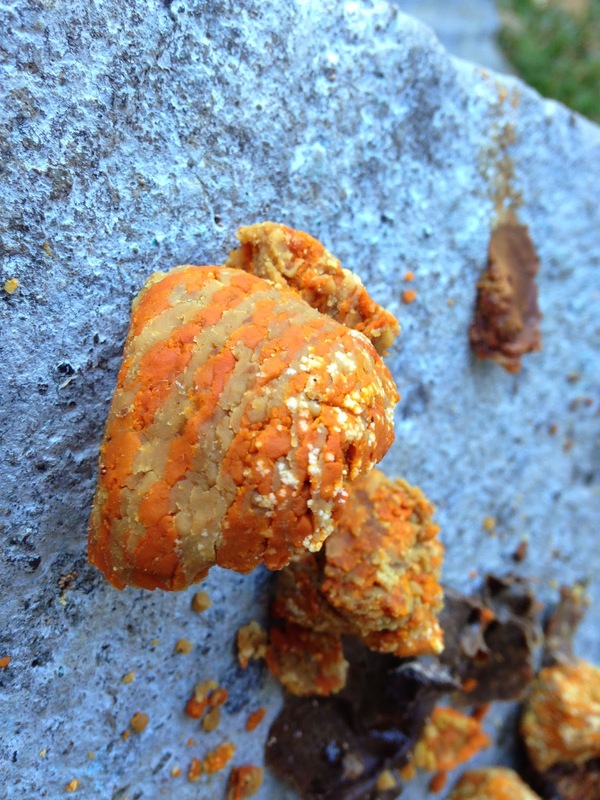 Stingless bee honey is finger-licking delicious! These pollen grains, collected from the thorax of a stingless bee, belong to an important nectar plant. This “pollen parfait” illustrates the importance of two plants, the dry forest tree Cochlospermum vitifolium and the shrub Senna skinneri, for the stingless bee Melipona beecheii during the dry season. This project is supported by The Loyal Bigelow and Jedediah Dewey Foundation. Fantastic work you are doing, Richard. Your article is impressively written. I really enjoyed reading this. Thank you!